The is a super stylish monitor that measures just 7mm at it’s thinnest point. With a compact stand this is a model to look at if desk space is at a premium and the ultra thin “frameless” bezel makes this an ideal choice for multi screen setups. On the surface it looks like it is built for image quality above game performance so will suit buyers looking for an elegant looking monitor with a great picture that will be OK for casual game play. Either way, it will look good atop of a designer desk. It’s a 24″ screen with an IPS panel running at a 1080 HD resolution. 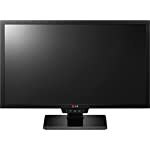 The VZ249Q is a very slim monitor both in terms of panel depth and surrounding bezel. I think it looks great and would gladly sport one in my home office. As is often the case with the best looking monitors, there is a downside. You are limited to a tilting the display forward and back only, you don’t get to move it up and down or side to side, and a portrait rotation is right out. HDMI, VGA, DisplayPort ports are provided so you should have no problems connecting up your graphics cards, even older models won’t have a problem. This monitor somehow manages to squeeze in some speakers too. The IPS panel technology is known for bright vibrant and accurate images as well as ensuring good viewing angles, so unlike other technologies the colour accuracy holds true within 178° viewing angles. ASUS have also taken care to ensure the is safe and easy to use for long periods, it includes ASUS Blue Light Filter technology that aims to protect you from “harmful” blue light. They also boast Flicker-Free technology to reduce flicker for a “comfortable viewing experience”. From a game point of view, whilst the IPS panels give you a better quality image they aren’t as responsive as the TN based technologies. That said, the 5ms response time should ensure you don’t suffer from low latency problems. This screen doesn’t feature adaptive sync tech or a super fast refresh rate so it probably won’t be top of the serious gamers list. But if you are a casual gamer who wants more of a balanced display then the high image quality id bound to impress even if it isn’t optimised for fast paced action games. At 1080p you should find all but the most basic current generation graphics card will be able to power this to a high level. We give the ASUS VZ249Q a 4.5 out of 5 rating. Want to know what existing owners of the monitor think? You can read real user reviews here. 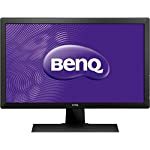 Should I buy the ASUS VZ249Q? The ASUS has a high quality IPS panel ensuring a bright accurate image for game and application usage. 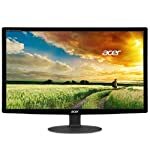 It isn't a dedicated gaming monitor so you'll want to buy this if you are more interested in an elegant design an excellent image quality. You can still play games on it, but it won't be first choice for the dedicated gamer. If you are having some doubts about this purchase then why not read some real owner reviews and see what other buyers think.